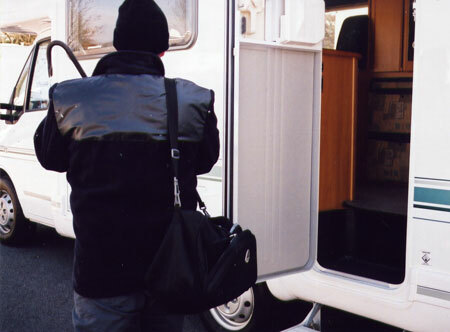 As you no doubt know, an immobiliser is an electronic security device that prevents a motorhome engine from running unless the correct key (or other token) is present. This prevents the motorhome from being “hot wired”. An immobiliser is an electronic security device which stops a vehicle from being started without the correct key. 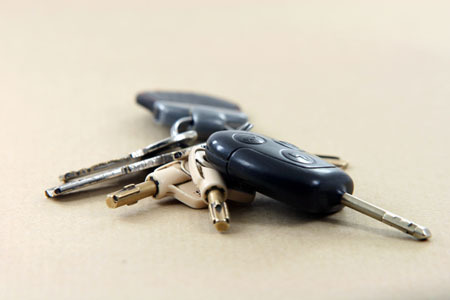 Immobilisers work by disabling the main components which make a vehicle move: the ignition, fuel system and starter motor. Disabling two of these things will prevent a vehicle from starting. Put simply, when a key is put in the ignition, a code is sent from the key’s transponder to the vehicle’s electronic control unit (ECU) via a receiver in the steering column. Most manufacturing methods work on the premise that the vehicle will only start if the key’s code matches that of the ECU. Immobilisers have had a huge impact in the fight against vehicle theft. Figures are not readily available in this country but in Australia immobilisers are fitted to around 45% of all cars, but account for only 7% of cars stolen. In fact, increasingly these days if a vehicle fitted with an immobiliser is stolen, it is because the thief had access to the key. A little vague maybe, but from this we can gauge that any motorhome registered after 2002 should almost definitely have an immobiliser fitted. If you are unsure you could check with your motorhome dealer, your motorhome convertor or base vehicle manufacturer for clarification. My motorhome doesn’t have an immobiliser can I still get one? Yes, you can retrofit an immobiliser. Speak to a local security specialist or again to your dealer for details of suitable immobilisers. It’s likely that they will recommend a Thatcham category 2 approved system as most motorhome insurers including Caravan Guard require this standard if the immobiliser is not a manufacturer fitted device. The majority of Caravan Guard motorhome customers have an immobiliser and therefore qualify for an immobiliser insurance discount. We recently discovered that 7% of customers using our online motorhome quote system – most of who were getting quotes on motorhomes registered after 2002 – hadn’t told us when they had an immobiliser fitted. It’s likely that these customers are missing out on a considerable saving. Existing customers can check they are getting an immobiliser insurance discount by reviewing their motorhome policy schedule. Caravan Guard’s motorhome insurance policy has been designed to help customers recover from theft quickly and with minimal disruption to their motorhoming plans. Very informative, it would be good to have an average retro price fit available to see if it is something the viewer would think about fitting.